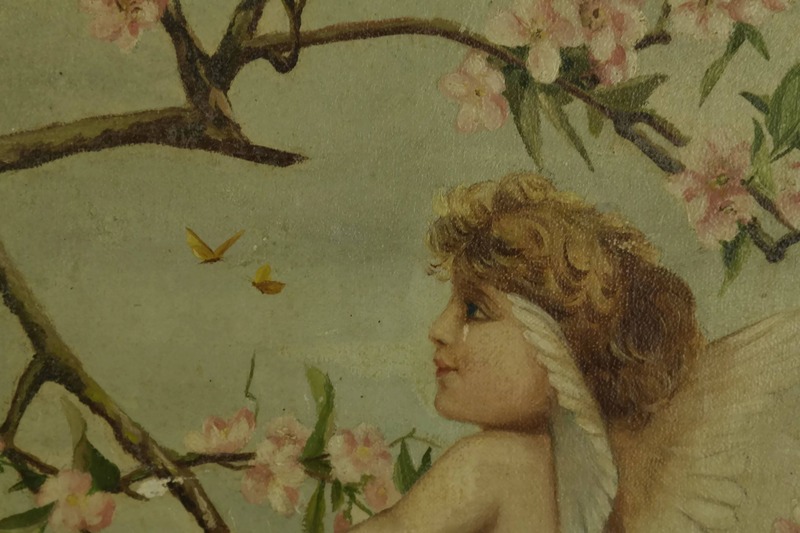 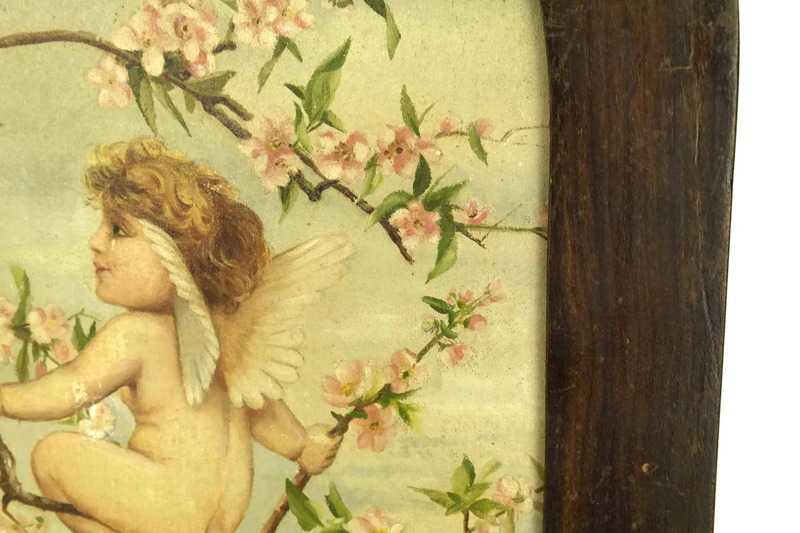 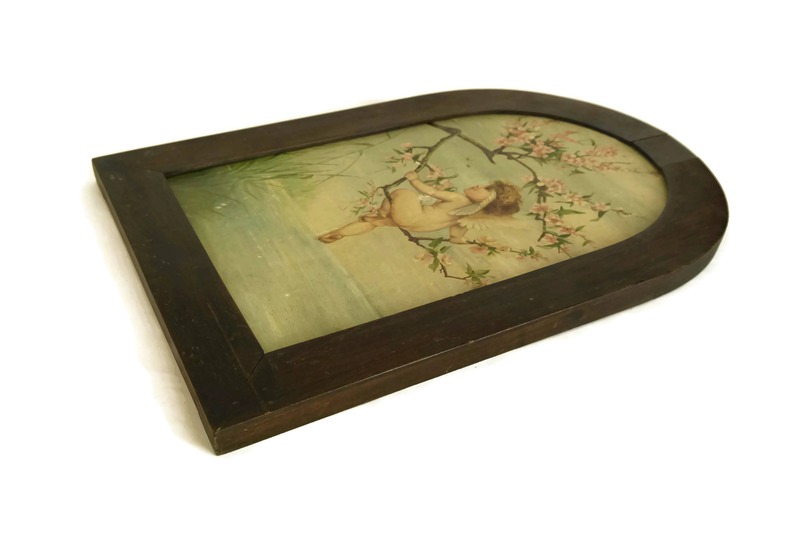 An exquisite antique cherub painting from the 19th Century. 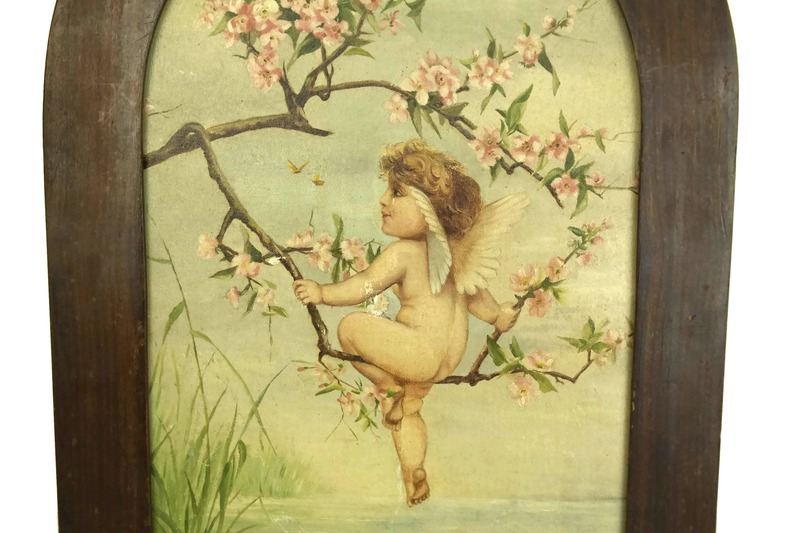 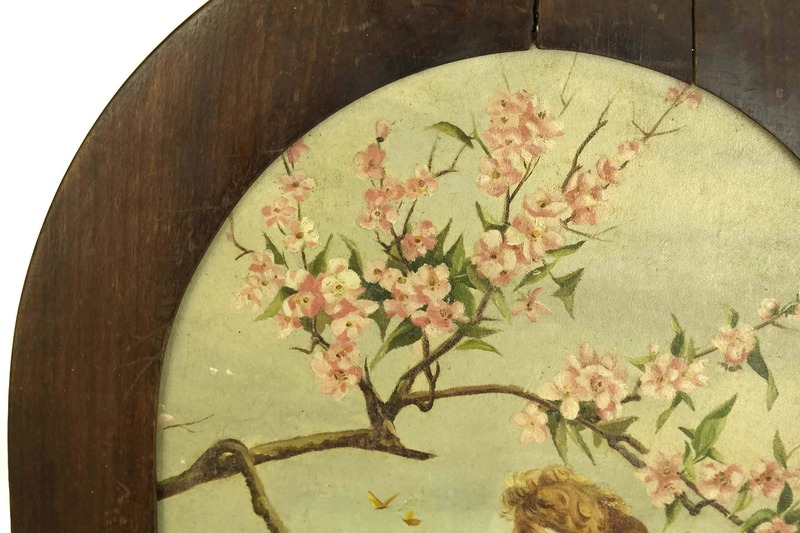 The original French art painting features a romantic portrait of a little cupid angel sitting on a branch surrounded by cherry blossoms. 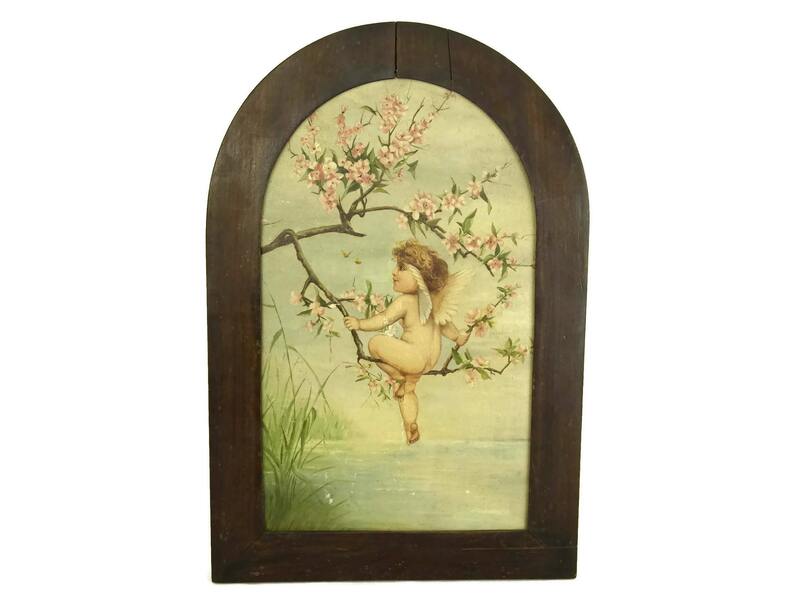 It has been created in oil paint on a canvas covered wooden panel and set in a heavy wooden frame with curved top. 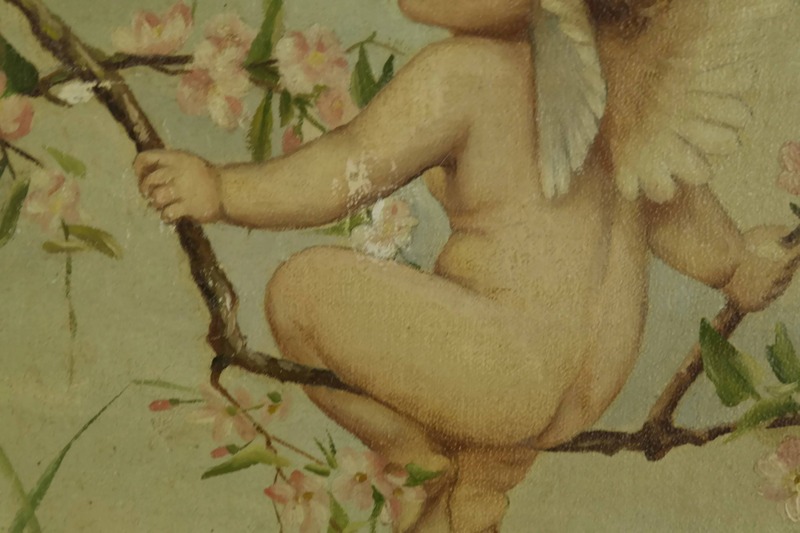 The French antique cherub painting is in good condition with signs of age. 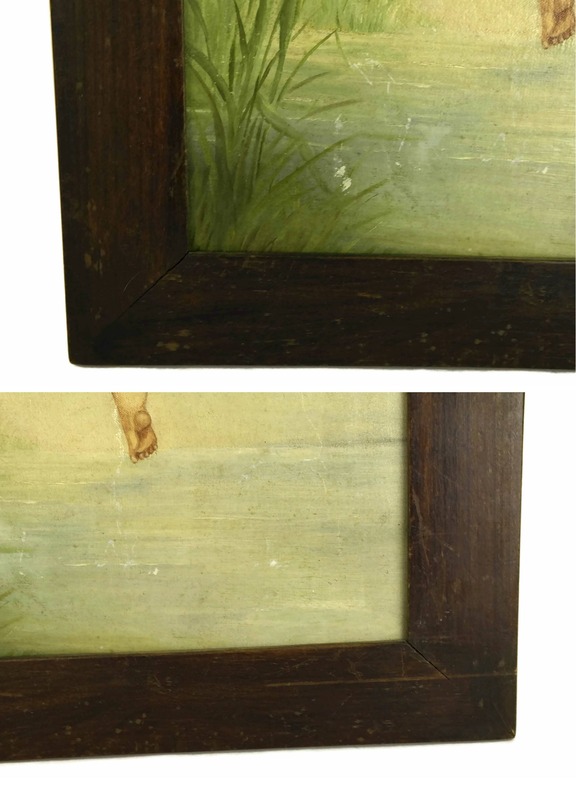 There is some wear to the painted canvas including patina, surface marks and a small flake to the area under the angel's left elbow. 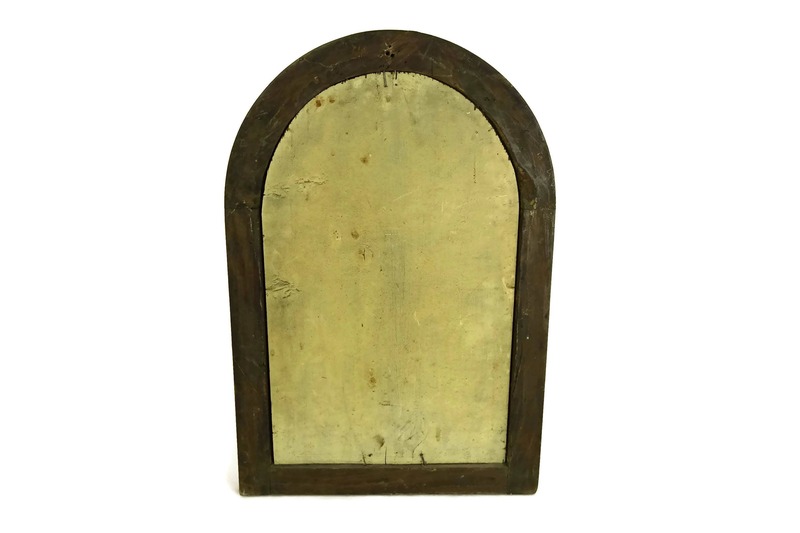 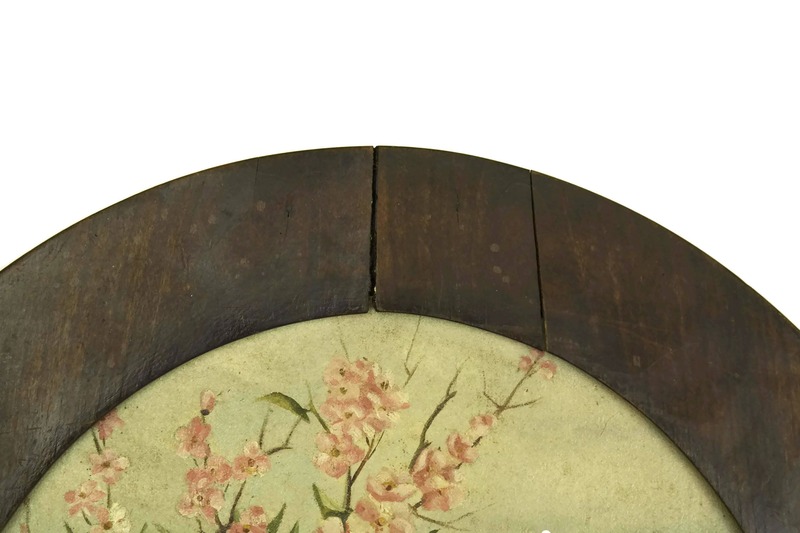 The wooden frame is worn in places and there are two thin cracks to the top.